Boots are an important and essential piece of gear for any snowboarding setup. Rather than just pick up any old pair, why not invest a little of your hard-earned dough in a top-quality set of shred kicks this winter. The best snowboarding boots might cost a little more but they offer the very best in comfort, performance, durability, and support. There is a good chance that your riding will improve as you’ll feel more comfortable on your board and be offered a greater range of motion and comfort. Plus, the best boots last a lot longer than a bottom of the shelf pair. You can be all but certain that any snowboarding product with Travis Rice stamped across the top are top-quality and his 2014 DC Travis Rice Snowboard Boots are no different. Designed by the professional snowboarding powerhouse, the high-tech snowboard boots absolutely rip. Incredible comfort and superior stability are at the core of this boot. 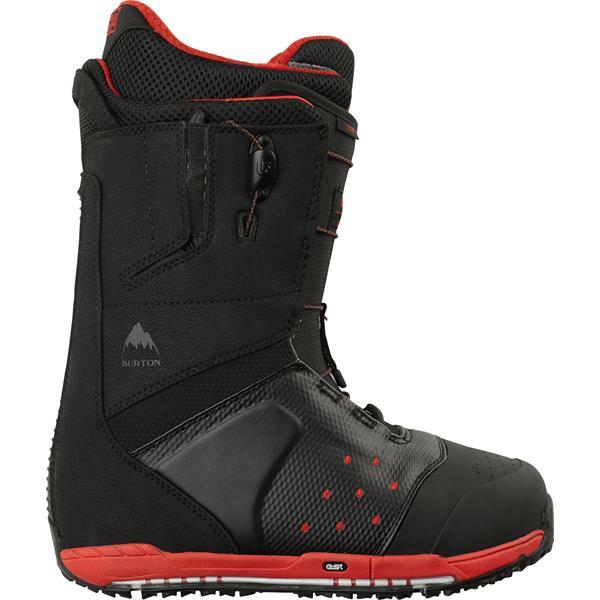 A stiff feel with a leather upper and articulated cuff the 2014 DC Travis Rice Snowboard Boots are a great choice for all-mountain and freeride madness. 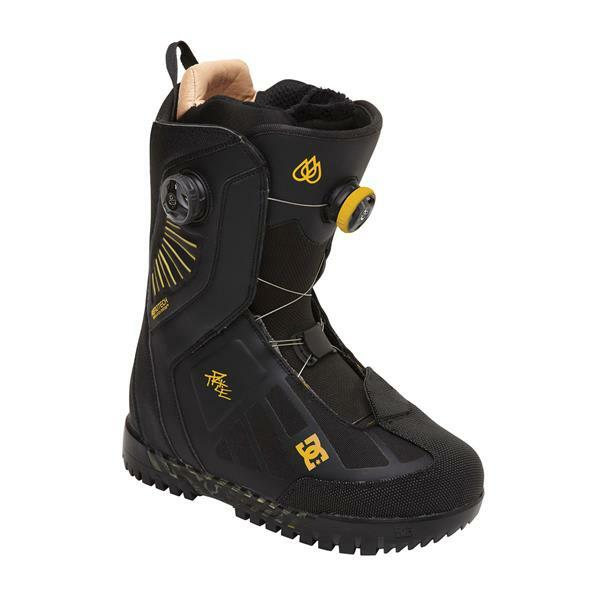 Find out more about the 2014 DC Travis Rice Snowboard Boots. Well-known as a powerhouse in the skate/casual shoe market, Van’s has been producing killer snowboard boots for the past couple of years. The 2014 Vans Infuse Snowboard Boots are their high-tech take on an age-old classic. A rugged exterior and a plush-interior give the boots the best of both worlds: comfort and durability. The boots hold up well to harsh landings and lots of chop and will last more than a couple of seasons without losing their superior feel or great looks. The hybrid closure system and traditional laces keep your feet locked down and snug. With the Infuse boots, you have the ability to adjust the flex depending on riding conditions and your personal preferences. Find out more about the 2014 Vans Infuse Snowboard Boots. Adidas is also a relative newcomer to the snowboarding game, but their 2014 Adidas Blauvelt Snowboard Boots, designed by none other than Jake Blauvelt, are one of the hottest pairs of the season. Inspired by the football (soccer) cleats that Adidas is most well-known for, the Blauvelt is a top-of-the-line boot with the highest-quality construction. Comfort is at the center of the boot with a merino wool inner that wicks away moisture and keeps your feet snug. Aerotherm thermal barriers and RECCO integrated avalanche system are a few other special features to write home about. Need a versatile boot that can shred any terrain? Cop the Blauvelt. Find out more about the 2014 Adidas Blauvelt Snowboard Boot. 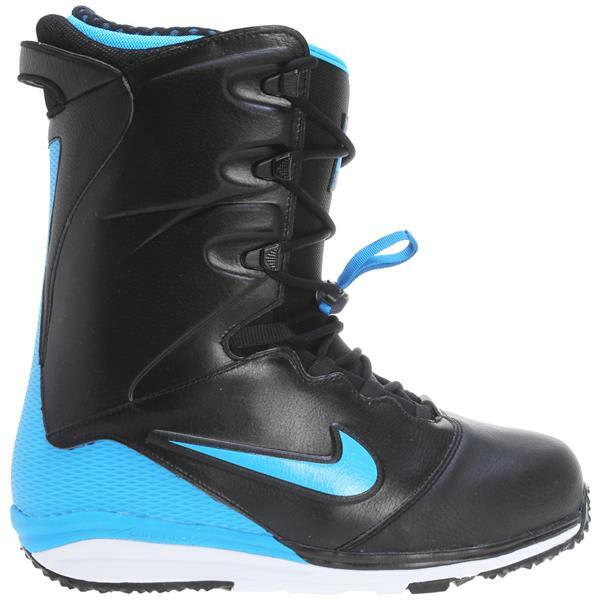 Style, comfort, and support are all evident in the 2014 Nike Lunarendor Snowboard Boots, one of the very best boots of the year. The pinnacle of Nike’s 2014 boot line, the Lunarendor comes complete with a molded upper, external backstay, flywire inner lacing harness, adjustable flex liner system, and lunarlon tooling. These features add together for impeccable lightness, otherworldly cushioning, and boardfeel like none other. Dynamic support keeps your legs and hips comfortable by ensuring they are naturally aligned in your snowboard stance. The Lunarendor is a top-quality pair of boots for snowboarders that demand the very best. Find out more about the 2014 Nike Lunarendor Snowboard Boots. There is no question about it: Burton is one of the absolute best creators of snowboard gear around. And their 2014 Burton Ion Snowboard Boots are one of their best products yet. Rooted in comfort above all else, the Ion barely feels like a boot at all…it feels more like a…uh…pillow for your feet. This comfort also translates into cushioning for harsh landings, rough terrain, and just about anything else you can soak up on your board. The flex and response are incredible and the boardfeel is in a league of its own. You can’t go wrong with a pair of Burton’s Ions. Find out more about the 2014 Burton Ion Snowboard Boots.